Go through your "Details" stage of your setup to get to the "Ballot" stage. 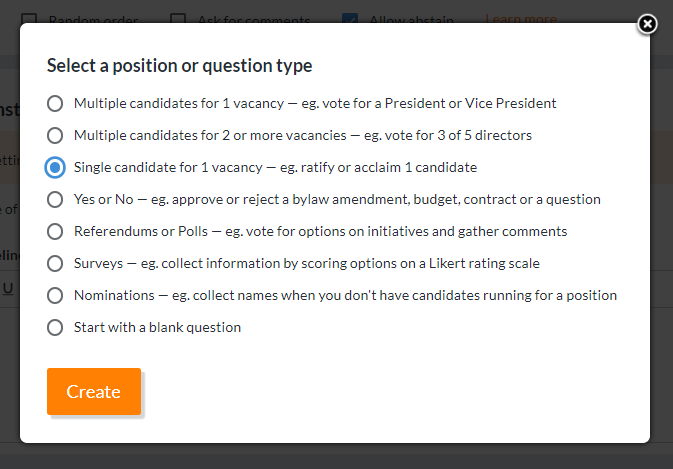 Select "Single candidate for one vacancy", and click "Create". Your ballot question will appear! The key to this is that the voting method is a "Plurality", which you will see underneath the ballot question title. You can change the wording of the "Approve" and "Reject" options as you see fit. You can also allow for comments and abstains, and add additional instructions or question information as required. For example, the "Question Information" (the button with a piece of paper with a folded corner up in the top right) is a great place to put a little blurb about your candidate, as a bit of a profile for them. You can even upload a photo! 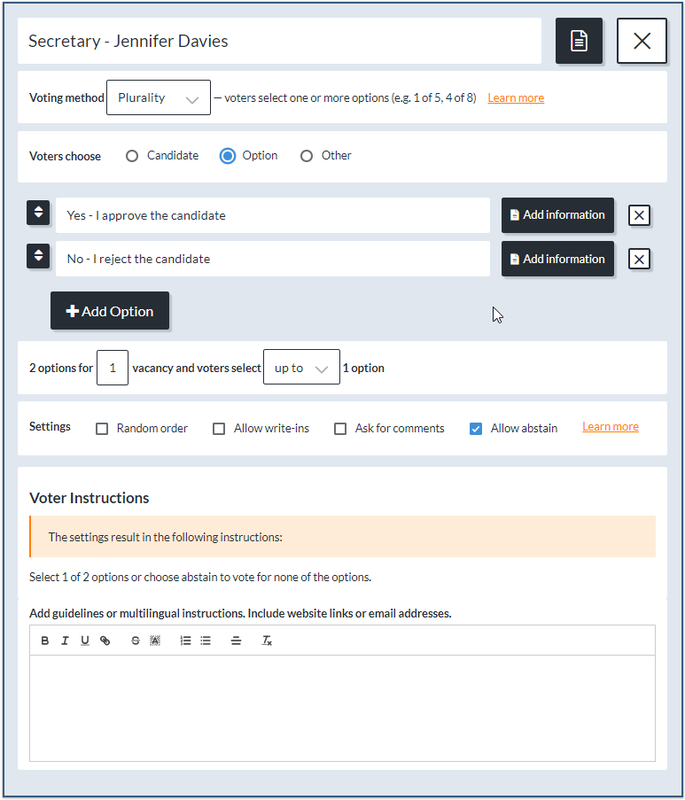 Ballot Design — "Ask for Comments"